Tom Sneva’s 1984 Indy 500 record setting March. The March chassis was dominant at the Indianapolis 500 in the early 1980s with track records falling regularly due to one guy in particular, Tom Sneva, the Gas Man. A March won the Indianapolis 500 from 1983 through 1987, Sneva giving March its first Indy title and Al Unser Sr., its final at the Brickyard. 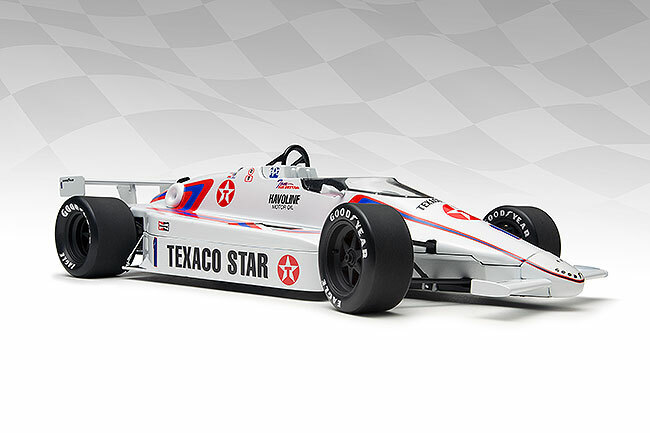 In 1984 Sneva crushed the lap time and speed record in a bright white racer with blue and red stripes, the Texaco Star, sponsored by, well, you get it. Now Replicarz has sent us its final production models of that pole car, which set the record at 210.029 mph, plus the Gordon Johncock-driven STP No. 20 March that qualified 5th and finished 25th after crashing halfway through the race. 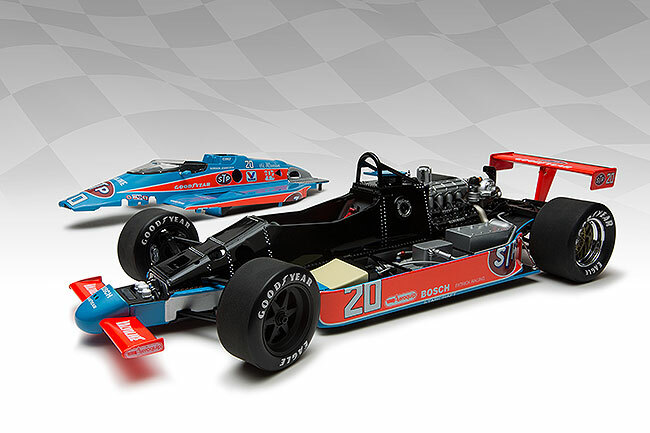 We had seen pre-production versions of these racers earlier this year and these final versions are spectacular. Gordon Johncock’s 1984 STP racer’s body comes off to expose the carbon fiber-look tub. Brian Fothergill of Replicarz tells me that his team modeled these cars as closely as possible to the way they were raced. That means more logos than a car might have had during practice or qualifying. Compared to historic pictures you can find on the web, these two look identical to the real ones with sponsor logos on the cars’ side pods of such notable firms as Valvoline, Bosch, STP, Aeroquip and Old Milwaukee on the Johncock racer and Havoline Motor Oil, Champion and Goodyear on the Sneva car. Naturally Texaco is there too. Cockpits are nicely detailed with the era’s minimalistic dash gauges, a shifter and small black steering wheel. The seatbelts are red in both cars and the driver’s name is near the windscreen on both, along with black roll bars integrated into the structure behind the cockpit. 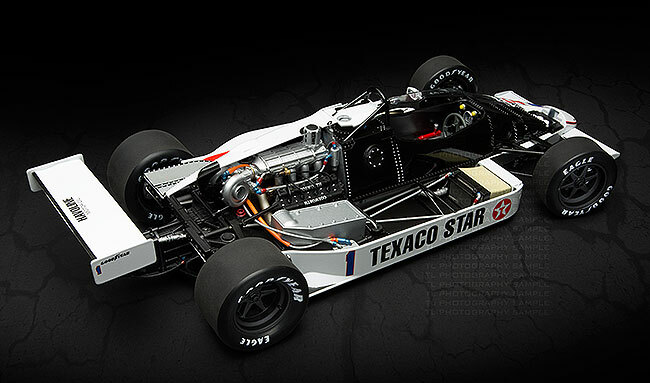 Naturally, both cars have beautifully detailed Cosworth V8 engines with the appropriate wiring and plumbing. These racers’ well detailed rear suspensions look great too, as have earlier Replicarz 1973 Eagle racers. I like the Sneva car’s smoky 6-spoke racing wheels, and the Johncock car has similar front wheels, but much flashier rear wheels that reflect a weaved gold pattern. 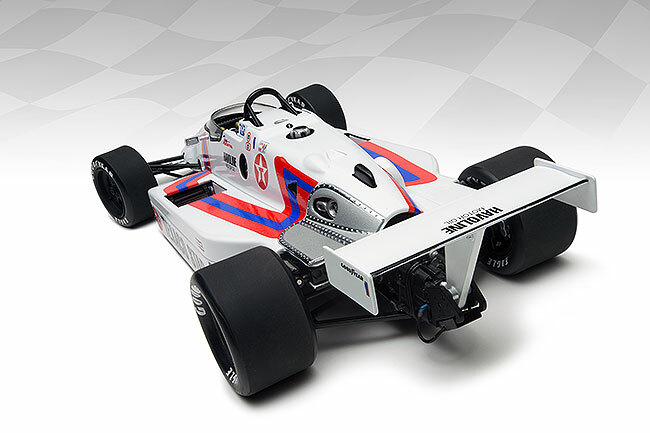 Replicarz create realistic looking Indy Car cockpits. Both models also feature realistically detailed chassis and carbon fiber-look tubs, making both excellent body-off display cars. In fact, that’s what makes these so special, they’re not just nicely painted and decaled bodies like some of the lower-priced Indy diecast models on the market. These also have a chromed area around the left side exhaust on each model too, plus there’s a chrome support for the side pod skirt. Unlike some more modern Indycar diecast, these look like the real deal, nothing looks like plastic, even when it is. 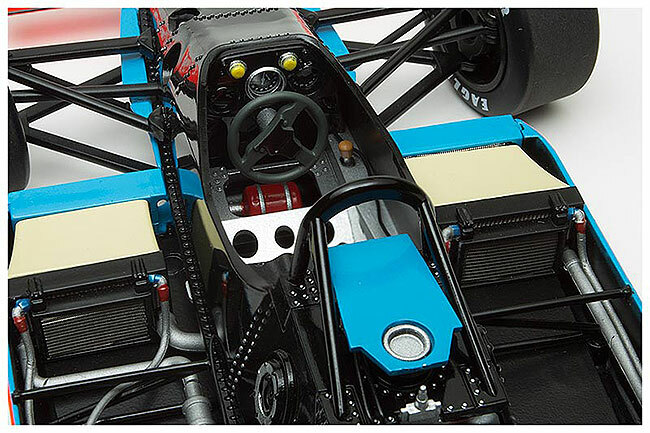 Both models roll on properly labeled Goodyear Eagle racing slicks and the wheels can be posed. Good engine and cockpit detail make this a bargain. The two Marches list at $169.99 each and are stunning to display on any desk or in any collector case. They both come in attractive black Replicarz boxes with large windows for easy, effective display, even if you don’t buy a case. However, Replicarz now sells an acrylic top ($21.99) you can slip over the plastic checkered base the car is mounted on to create your own easy viewing case. That checkered base makes the car look like it’s sitting in the winner’s circle too. Tom Sneva’s 1984 March racer that sat on the Indy pole. 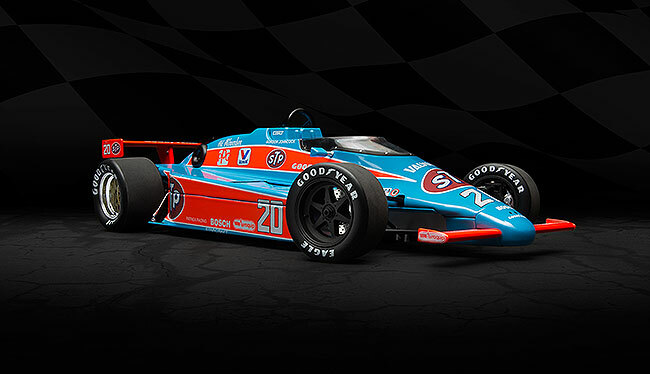 Gordon Johncock’s 1984 Indy 500 racer, sponsored by STP.